Baby's skin is sensitive, requiring special, effective, gentle products. L'Officina made a selection of the best skin care products responding to these special needs, designed by ethical, ecological, expert brands: Madara's organic baby care from Northern Europe, Dr. Bronner's and Clémence & Vivien's ultra-gentle fragrance free Soaps, Balm Balm's 100% organic 100% natural Balms, certified organic Shampoo with milk proteins from the Danish brand Unique Haircare. This soft, gentle, and easy to apply organic lotion provides intense hydration for delicate baby skin, but also ideal for children and even adults. Gentle and soothing shampoo with linden flowers and oats for delicate baby hair and scalp. Mild to the eyes and scalp. Enriched with Baltic Botanicals and natural ingredients. For daily body care and massage. 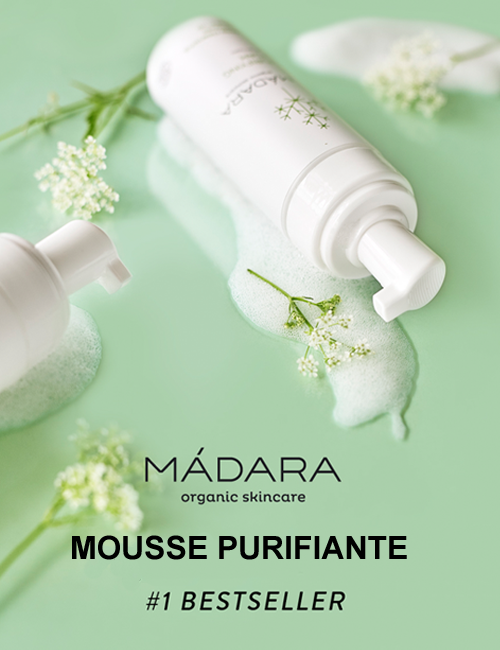 Developed specifically for your little one's delicate skin, MADARA's natural Cocoa and Plum Creamy Baby Oil gently conditions and softens from top to toe. For babies, children and pregnant women, rich in organic shea butter. 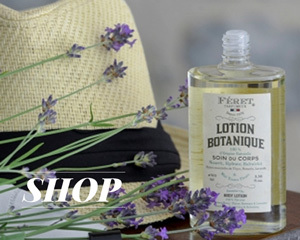 Le Chérubin is a naturally gentle soap for the delicate skin of the youngest family members. The handmade natural bar soap is made with organic castor oil and glycerine providing intensive moisture and increases the water content of the skin. 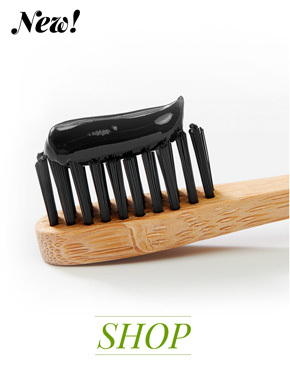 Oxhorn comb 100% naturel & hand made. Single tooth. A small but charming comb, perfect for newborns, a jacket pocket or your purse. This hand crafted oxhorn comb has gently curving tips to the wide spaced teeth making it especially kind on fragile scalps whilst gently stimulating the follicles to promote hair growth. Horn combs benefit the hair in many ways: the horn collects the natural oils of the scalp then helps to distribute it throughout the hair, leaving it shiny and full of body. This natural oil will also help to keep the horn nourished. Horn combs have the added benefit of reducing static – perfect for those suffering from flyaway hair when using plastic combs. Size: 25 x 108 mm. Made in Britain. Small Horn Pocket Comb single tooth (10,8 cm) Abbeyhorn. Fragrance free 100% Organic Lip Balm, so won't interfere with eating, drinking or kissing. So gentle that it can even be used on new born babies - not as a lip balm of course as babies have no need of lip balm, but as a multi purpose moisturiser that takes up next to no space in your bag - it's the perfect answer to all your babies moisturising needs. 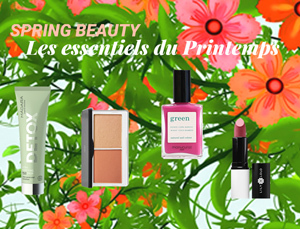 Green Beauty Bible Award Winner! 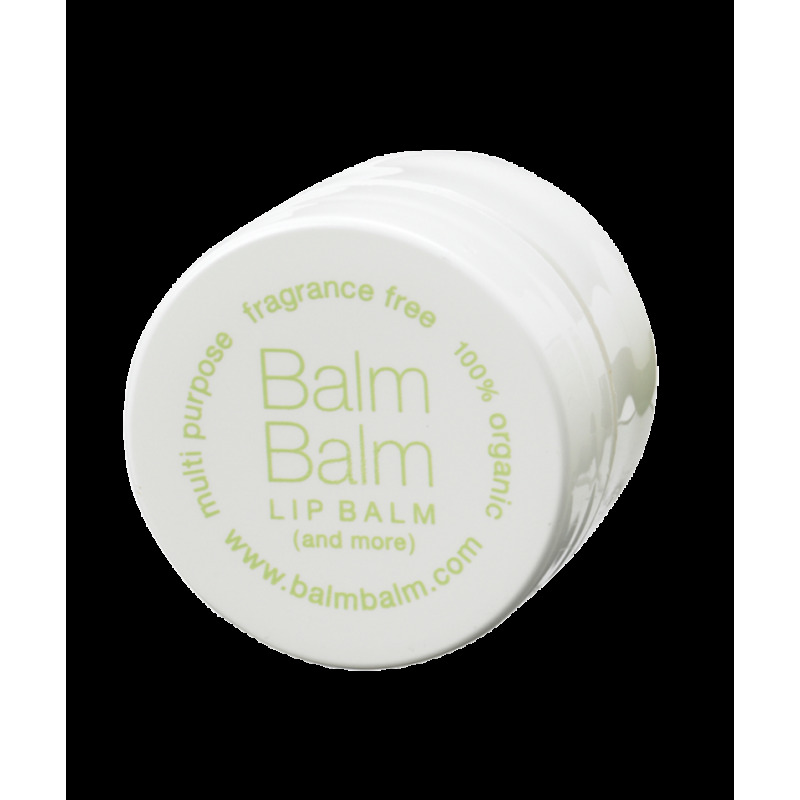 Balm Balm Organic Lip Balm (and more) Fragrance Free. Pot 7ml. Unscented Baby Mild - contains no fragrance. The classic, 100% biodegradable blend creates a soft, lavish lather with certified organic extra virgin coconut, olive, jojoba and hemp oils blended with organic pure essential oils. It's free of synthetic foaming agents, thickeners and preservatives, while being three times stronger than most soap on the market. Dr Bronner's cult classic soap is a must have in every bathroom. dr-bronner-s Organic Liquid Soap Baby Mild 475ml - 16 oz. This unscented Baby Mild contains no fragrance so it's great for people who have allergies or sensitive skin. Of course it is great for babies as well. Gently clean both your hair and body using this multi-purpose, vegetable-based soap that's USDA Certified Organic and Certified Fair Trade. The organic orange, lemon, and lime stimulate the skin and invigorate the body, resulting in a truly refreshing shower experience. Full size. dr-bronner-s Organic Liquid Soap Baby Mild 240ml - 8 oz. This unscented Baby Mild contains no fragrance so it's great for people who have allergies or sensitive skin. Of course it is great for babies as well. Gently clean both your hair and body using this multi-purpose, vegetable-based soap that's USDA Certified Organic and Certified Fair Trade. It's free of synthetic foaming agents, thickeners and preservatives. Dr Bronner's cult classic liquid soap is a must have in every bathroom. dr-bronner-s Organic Liquid Soap Baby Mild 60ml - 2 oz. This unscented Baby Mild contains no fragrance so it's great for people who have allergies or sensitive skin. Of course it is great for babies as well. Gently clean both your hair and body using this multi-purpose, vegetable-based soap that's USDA Certified Organic and Certified Fair Trade. It's free of synthetic foaming agents, thickeners and preservatives. Dr Bronner's cult classic liquid soap is a must have in every bathroom. Convenient travel size! The Baby Konjac Sponge is the perfect cleansing accessory and not just for every new baby and child but for anyone with sensitive skin or skin prone to allergic reaction. In fact, although the sponge was originally created for babies it was soon discovered how good the sponge is for everyone! Perfect for children with sensitive skin or eczema. A fragrance-free sustainable luxury shampoo for a very particular and beloved little person. It foams easily and leaves the hair nice and soft. This skin-friendly and certified organic Kids Shampoo is perfect for promoting healthy hair growth. 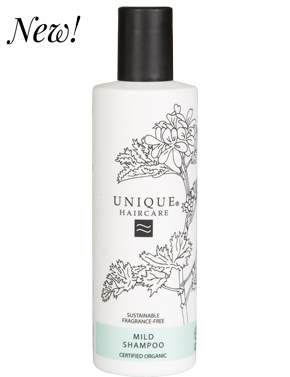 A fragrance-free sustainable luxury shampoo for a very particular and beloved little person. It foams easily and leaves the hair nice and soft. This skin-friendly and certified organic Kids Shampoo is perfect for promoting healthy hair growth. 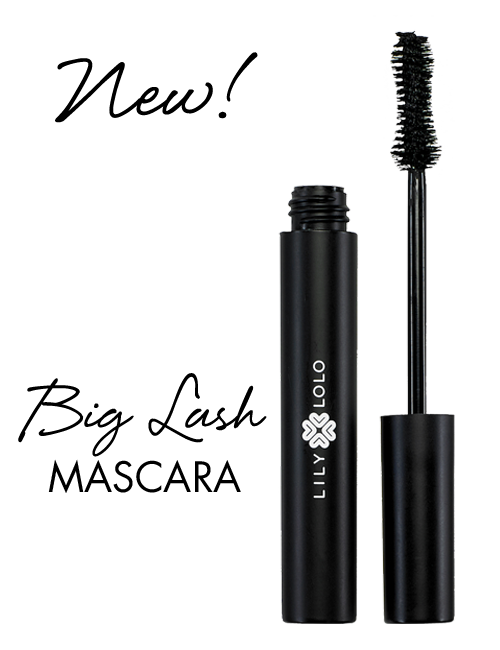 Mini size, perfect for travelling. Intensive care and protection for your lips. Dr. Bronner's lip balms are based on pure organic oils and beeswax free of petrochemical modified ingredients. This soothing lip balm leaves your lips feeling soft and hydrated. Guard your lips from the elements while delivering much-needed moisture with this pure, unscented lip balm. A cute little comb ideal for babies, the top pocket of your jacket or your handbag. Hand made from cow horn this comb has wide spaced teeth with smooth rounded ends which is particularly kind to delicate scalps. Size: 25 x 90 mm. Made in Britain. Small Horn Pocket Comb single tooth (9 cm) Abbeyhorn. Protects, nourishes and repairs the skin. Contains fair-trade shea butter and five organic oils. This multipurpose Balm is magical, it can be used in so many different ways. Hydrate your hands, lips, face, body and even hair with this great, all-natural formula. Sweet creamy natural almond milk scent.